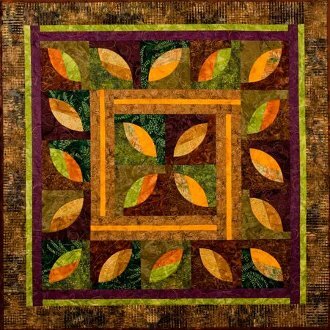 The Melon Block Template is used along with Hoffman Batik fabrics in fall colors. This pattern is a remake of the one in the Melon Block Book. It is completely revised and updated. Paper templates of the Melon Block are included but to make it easier you will want to order the Melon Block Template. 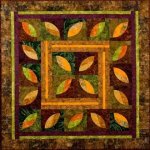 Quilt measures 49" x 49".